Discussion in 'Price Drops, Must-Have Freebies, and Deals' started by Five-O, May 10, 2015. 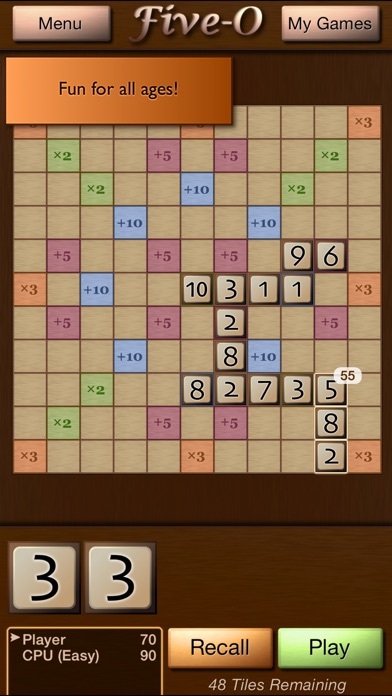 Five-O is a game about multiples of five, so I thought today (5/10/15) was a great day to give it away for free! Hope you enjoy it! 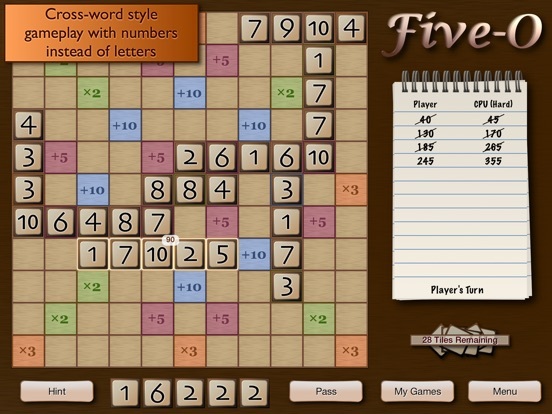 Five-O is your favorite word game, minus the words! 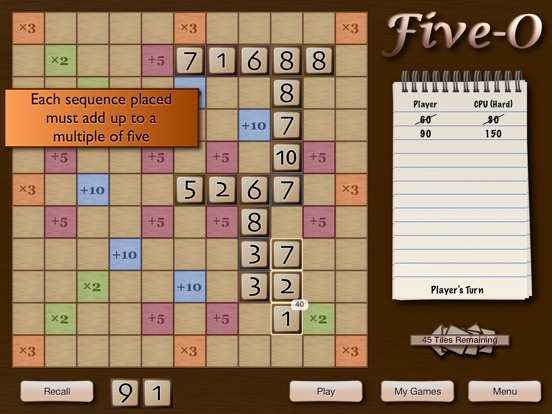 Instead of letters, the tiles are numbers, and instead of forming words, each sequence of tiles has to add up to a multiple of five, and no sequences may be longer than five tiles. 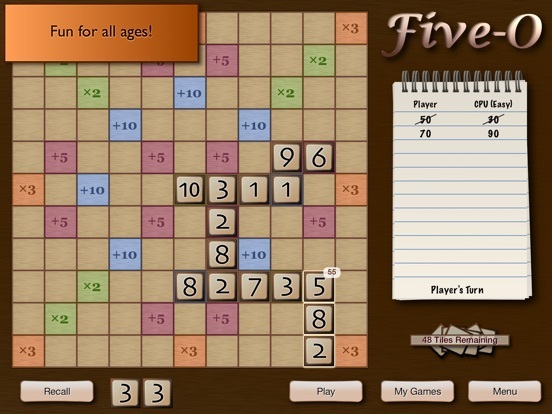 "This is a great must have iPad game. And I love the fact that it really works your mind muscles. It is a very simple game but it will get you hooked." - tcgeeks.com "The price is right, and the game is fun as well as educational. I’d very much recommend it, especially if you’re looking for something the whole family can enjoy or even just for the kids." 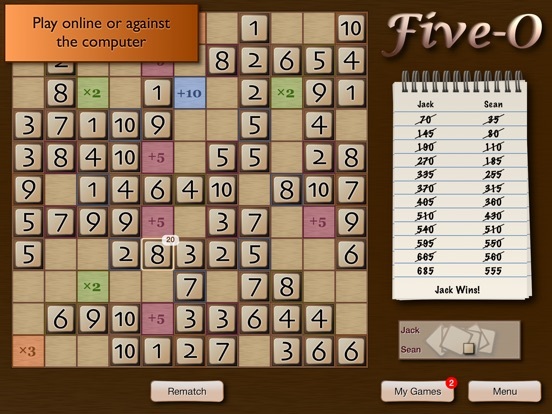 - ipadboardgames.org Features: Easy to learn rules Online Multiplayer, take turns at your leisure Pass-and-Play mode for up to 4 local players Single player mode with challenging computer opponents Hints for when you get stuck Simple controls, just touch and drag the tiles to the board How to play: Players take turns placing intersecting sequences of numbers on the board which add up to multiples of five. For example, 7-3-8-7 would be a valid sequence because it adds up to 25. The sequence 3-9-5 is not valid because it adds up to 17 which is not a multiple of five. 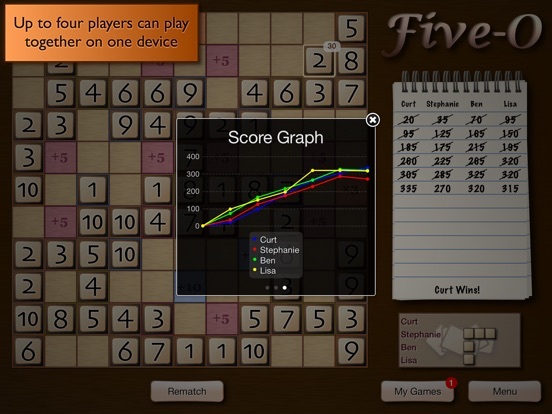 On each turn, players may play tiles in one straight line sequence, horizontally or vertically. 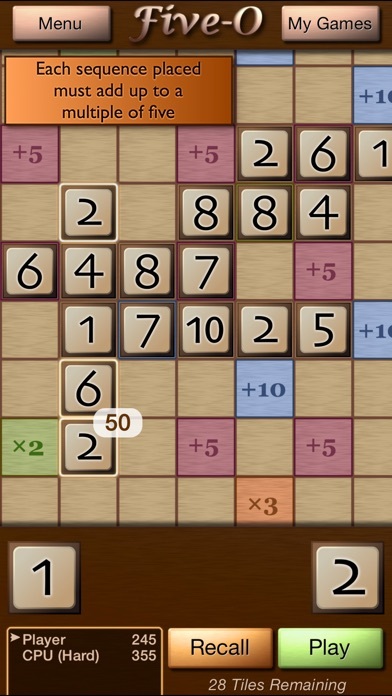 The first sequence must be played on the center square, and all sequences after that must intersect with tiles already in play. 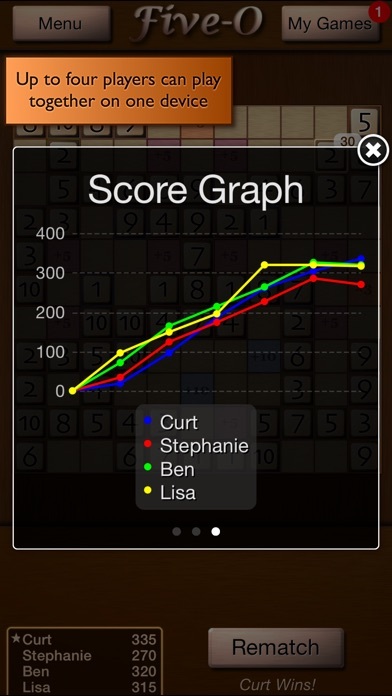 The score for each play is the sum of all the number tiles in sequences completed on that turn. Colored bonus squares award extra points and multipliers. 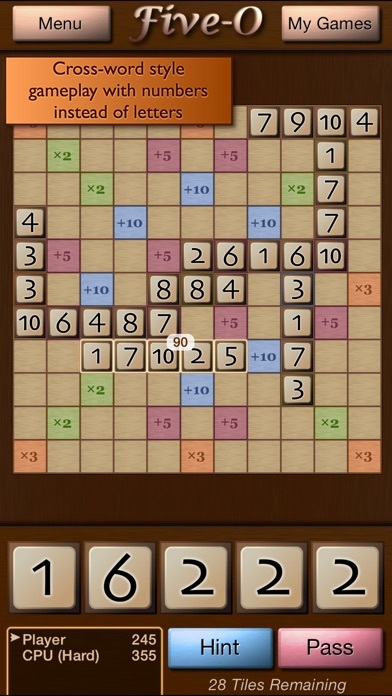 At the end of each turn, players draw new tiles to replace the ones played. 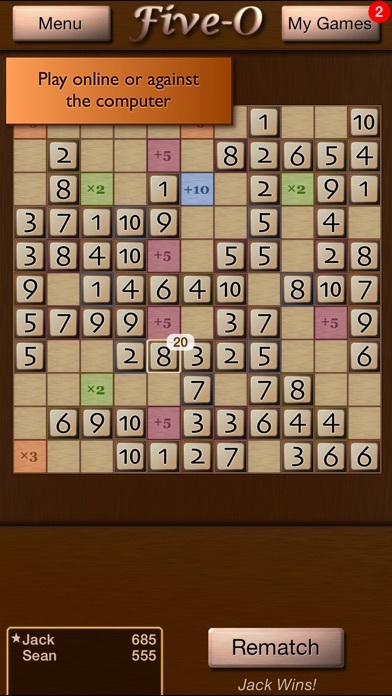 The game ends when a player plays all of their remaining tiles and there are no more tiles left to draw.